​Designed with no moving parts, VTM 300 is simple to use, easy to install and quick to maintain. ​Capture and read the barcode information to use as filename or document sorting. The document can also be automatically rotated into the correct direction after reading the barcode. The document can be automatically deskewed and cropped after scanning hence the scanned image quality is increased. 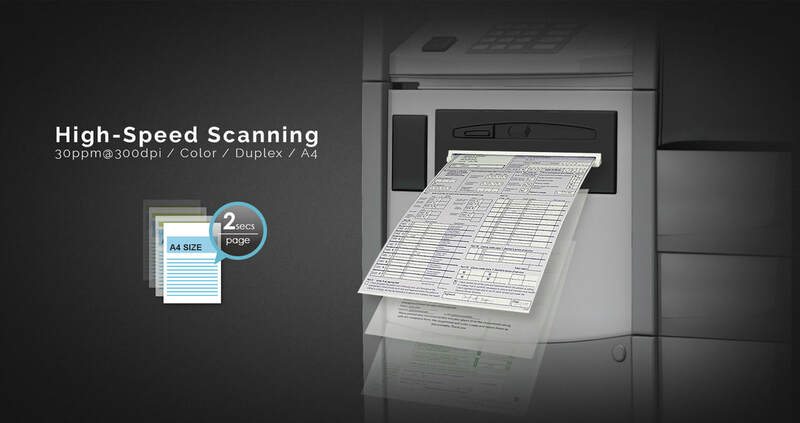 ​The scan module can check itself if the paper is fed correctly. Otherwise, the paper will be automatically rejected to prevent paper jam.